Recently, Envato changed the licensing under which its authors are required to offer their themes for sale: basically, whatever has to be licensed under the GPL will be, but everything else will have a much more restrictive license. As a result, all of the themes for sale on Themeforest are automatically subject to a split-license schema. Some have suggested that this is contrary to the spirit of the GPL even if not the letter, because without the CSS and images, a theme isn’t really a theme. Whether or not this is so, the sale of themes under a split license runs counter to the principles the WordPress Foundation wishes to promote through their WordCamps. Notification sent out to the Themeforest authors came as a shock to many of them… and to be fair, it should be said that many of these authors are active and valued members in the WordPress community. This is what’s got the WordPress community in a hot debate. I’ve jumped into the conversation at a number of points, which was helpful in fleshing out my thinking on the whole affair. I’m not big on “taking sides” within a community discussion, but I will say that everything I’ve said has been supportive of the WordPress Foundation’s position rather than Envato’s. (FWIW, the larger part of the community seems to share this view.) All that to say I hate to see a community divided, so drawing lines needs to be reserved for issues that are genuinely foundational, and only done after due consideration. 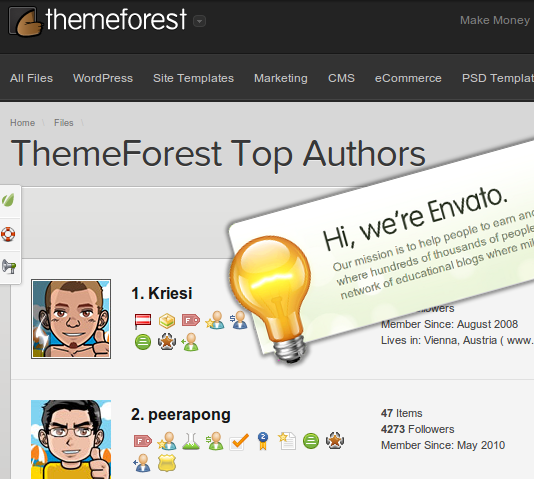 In this case, my major objection is with Envato’s requirement that its authors use their split-license version — to sell your work on Themeforest, authors can’t release their work under the GPL, nor can they sell it on their own site. Alex King has a good comparison between Apple and Envato as markets for selling their work. Somewhat surprisingly, by comparison it makes Apple’s App Store program look like a fantastic deal for the developer. While it’s true that theme authors don’t have to sell their work on Themeforest, the fact is that there aren’t exactly a lot of choices of large theme markets where they can sell their fully-GPL’d themes. It’s a bit of a catch-22 for developers whose business model requires living off the revenue from their theme development. StudioPress has pulled their themes (intentionally GPL) from Themeforest as a result of this kerfuffle, but they’re big enough to go it alone. Still, the WordPress Foundation’s requirements were always clear, and it was always acknowledged that they were more stringent than the GPL. Essentially, this is what’s required to fully embrace its ideals and to represent WordPress. In one of the comment threads, someone said that anyone who has a problem with the GPL shouldn’t be developing for WordPress. I would suggest that extends to profiting from GPL’d works. You can’t be looking for ways to get around the GPL’s open requirements while trying to build a business with it… to me, that’s a little disingenuous. As has been stated by many others, it’s the developers caught in the middle who have our sympathies. It would be great to see a 100% GPL theme market rise up out of this controversy. This entry was posted in WordPress and tagged GPL, Matt Mullenweg, Themeforest, wordpress by Brent Toderash. Bookmark the permalink.